What is a SWE Fellow? Who are the SWE Fellows in Kansas City? Libby Allman has held a number of leadership positions in Supply Chain over the past 25 years. She is currently the Vice President of Manufacturing and Product Procurement at Hallmark Cards, Inc. where she leads domestic manufacturing and direct global sourcing activities in support of the greetings, home décor, gifts and Hallmark retail businesses. While at Hallmark, Libby has held several leadership roles including Vice President of Product Integrity and Technical Resources where she was responsible for protecting Hallmark's brand equity through standards of quality, safety, ethical sourcing and environmental sustainability, Vice President of Supply Chain Planning, Director of the Lean organization and the General Manager of the Liberty Distribution Center. 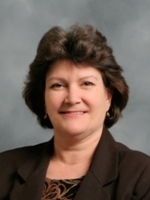 Libby also worked in the Information Technology organization as the Director of Process and Program management. Libby co-founded the Hallmark Women’s Network. Prior to joining Hallmark, Libby was a Consultant with Grant Thornton, LLP and Continuous Improvement Manager at Fike Corporation. Libby is a life-long advocate of women and girls in STEM careers. She is a recipient of the Central Exchange STEMMy Ground Breaker award. Libby served as chair of the Board of Directors for Girl Scouts of NE Kansas & NW Missouri where she continues as a board member, serves as the vice-chair of the Kansas City Cabinet of Washington University, an advisor to the Washington University Kansas City EMBA program, served as a board member for the Greater Missouri Leadership Challenge, and the Society of Women Engineers where she holds the Fellow status. Libby also serves on the board of the Kansas City Urban Neighborhood Initiative (UNI). She earned an MBA from Rockhurst University, a BS Mechanical Engineering from Washington University in St. Louis and BA Physics from William Jewell College where she serves on the President’s Advisory Council. Libby resides in Kansas City with her husband, Scott and their two school age children: Ellie and Henry. Lynn Bertuglia is Managing Director at Black & Veatch where she has worked for over 10 years. Jane Knoche is a General Engineer for the Federal Aviation Administration (FAA), where her role as Automated Flight Service Station Transition (AFSS) Lead includes heading a geographically diverse team of engineers to relocate radio communications services, telecommunications, and power equipment from forty one closed facilities to three Flight Service Hubs, resulting in a leased space reduction of over 387,000 square feet over a two year period. Knoche's career with the FAA spans close to three decades and includes accomplishments such as the successful commissioning of the Gateway TRACON in 2002, managing a $3 million Airport Traffic Control Tower project, and maintaining successful operations in Iowa during The Great Flood of 1993. As acting sector manager, Knoche took decisive action to keep the Des Moines Airway Facilities Sector (AFS) and Air Traffic Control Tower in operation which kept the airport open and at the same time supported personnel involved in sandbagging and large scale water distribution. Prior to joining the FAA, Knoche spent several years with the U.S. Army Corps of Engineers and at Procter & Gamble (P&G). At P&G, she was an engineering supervisor, overseeing production line capacities exceeding 39 million pounds/year and implementing process changes that resulted in a 25% reduction of budget expenses. Similar to her committed service to FAA, Knoche has been equally as committed to SWE, beginning with her involvement with the student section at Kansas State University while obtaining her degree in mechanical engineering. Now a life member, Knoche's SWE accomplishments are numerous including obtaining the Distinguished New Engineer award and being charter members of the Kansas City and Heart of Iowa Sections. As President of the Kansas City Section, her vision was to share the importance of connecting women together who otherwise might be isolated in their respective work places. Knoche has held numerous other roles over the years including counselor to the University of Missouri-Kansas City student section, National Membership Committee member and Region I Director. During her tenure as Director in 1997, Knoche worked diligently to increase each section's technical visibility by bringing many of them onto the World Wide Web. Knoche was also an integral part of the planning and execution of the 1987 and 2006 National SWE Convention / Conferences in Kansas City. In recent years, Knoche has been active in the areas of professional development by organizing networking events and seminars with other local engineering societies. Knoche is equally committed to her community, serving as an ordained deacon at her church and moderator of a 21 member board. Knoche works to inspire women of all ages including teaching elementary school girls in Sunday School.. Knoche is also an avid square dancer and participant in charity walks for multiple sclerosis and hunger. Knoche received a bachelor's degree in mechanical engineering from Kansas State University. Knoche is a licensed Professional Engineer in the state of Kansas. Ms. Leigh is a practicing structural engineer and is a principal and owner in the consulting firm Leigh & O'Kane, LLC. She worked at Butler Manufacturing, at Burns & McDonnell, and in 1983 started her own consulting business. She and Ronald O'Kane have been in business together since 1986. Leigh & O'Kane has 10 employees and provides structural consulting to architects and other engineers for commercial and public buildings. Recognizable buildings around Kansas City include the new Chiefs' Office and Training Facility, Starlight Theater Stagehouse, the Polar Bear Exhibit at the Kansas City Zoo, and the Power & Light Entertainment District. Ms. Leigh was the chair of the Engineering Division of the Missouri Board for Architects, Professional Engineers, Land Surveyors and Landscape Architects, where she served for 12 years. She is also on the Structural Exam committee that prepares the national licensing exam for structural engineers. She is a Fellow in the Society of Women Engineers and earned the 2003 SWE Entrepreneur Award. Since 1989, Deb O'Bannon has taught civil engineering at the University of Missouri-Kansas City (UMKC). She received a B.S. in Civil Engineering from MIT, a M.E. in Environmental Engineering from Manhattan College in New York and a Ph.D. in Civil and Environmental Engineering from the University of Iowa. She is a fellow of the American Society of Civil Engineers and a fellow of the Society of Women Engineers. 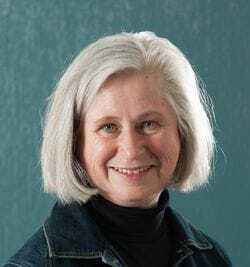 She served on SWE's Society-level Board of Directors as the Region I Director during 1995-1997 and served on the SWE Editorial Board from 2000-2015. Deb served as the Editorial Board chairwoman for 2009-2012. She has been President of the Kansas City section twice (1990-1991 and 2008-2009). Deb hosted a show on KCMO TalkRadio 710 from January 2009-Sept 2011, titled "Building Kansas City," which focused on engineering and architectural design and construction. Deb is currently editing a scholarly book from Springer on water quality, where each chapter will be written by a woman researcher (expected publication in 2018). Jill Tietjen (former SWE President) is coordinating the Springer book series. Shelley Wolff is a past Society-level SWE President and SWE Fellow. 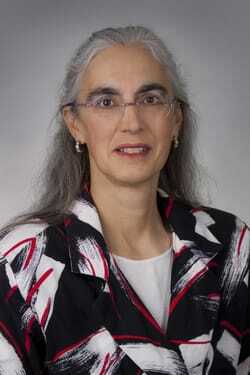 She is also a Vice President at HNTB Corporation where she has worked for 36 years. During her career at HNTB, Shelley has engaged in roadway and civil site projects; Federal projects; led HNTB's project management training program; and worked in corporate planning. She is currently in HNTB’s Corporate Delivery group where she leads project management process development, training and implementation of best management practices. She has a B.S. in Civil Engineering from Iowa State University, a M.S. in Engineering Management from the University of Kansas, and a M.A. in Organizational Management from the University of Phoenix. She holds a P.E. license in four states and is a LEED Accredited Professional.